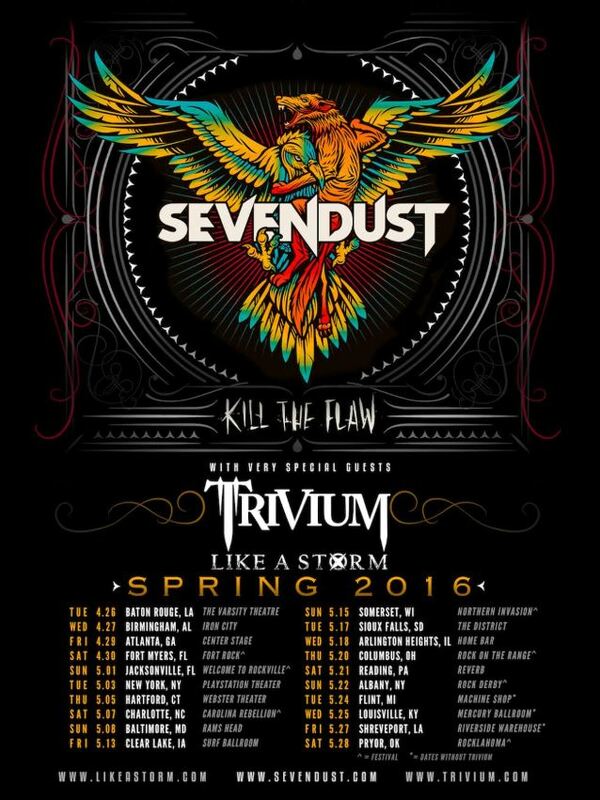 SEVENDUST has announced its first U.S. headline tour in support of the band's latest album, "Kill The Flaw". The trek kicks off on April 26 in Baton Rouge, Louisiana and wraps up on May 28 at the Rocklahoma festival in Pryor, Oklahoma. The headline dates, which will feature special guests TRIVIUM and LIKE A STORM as show openers, will make stops in Atlanta, Georgia; New York, New York; Baltimore, Maryland; and Reading, Pennsylvania, to name a few. SEVENDUST will also be making stops at multiple festivals while out on the road, including Fort Rock, Welcome To Rockville, Carolina Rebellion, Northern Invasion, Rock On The Range and Rock Derby. Says SEVENDUST vocalist Lajon Witherspoon: "We can't wait to embark on our first 'Kill The Flaw' headline tour of the States! Looking forward to jamming with our brothers in TRIVIUM and LIKE A STORM for the first time as well. Can't wait to see you all on the road!" Tickets for all of the headline shows go on sale on Friday, January 29. Fans can go to www.sevendust.com for more info and to purchase tickets. 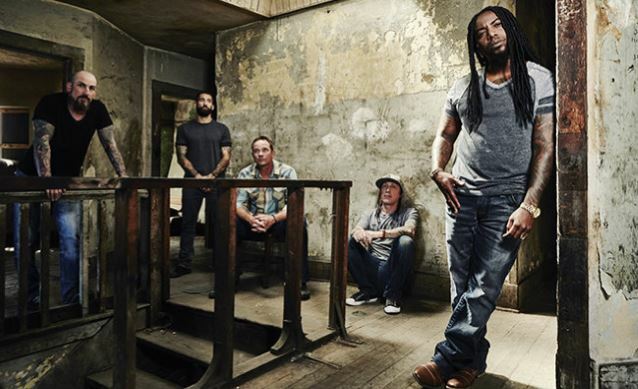 SEVENDUST recently received its first-ever Grammy nomination after two decades together as a band. 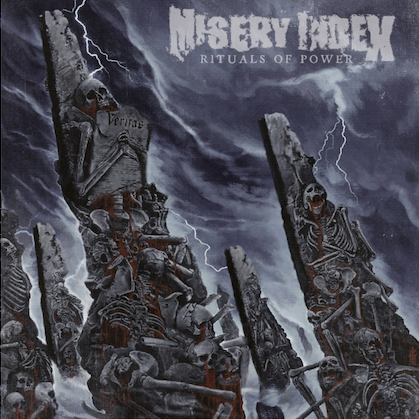 "Thank You", the debut single from "Kill The Flaw", received a nomination for "Best Metal Performance". 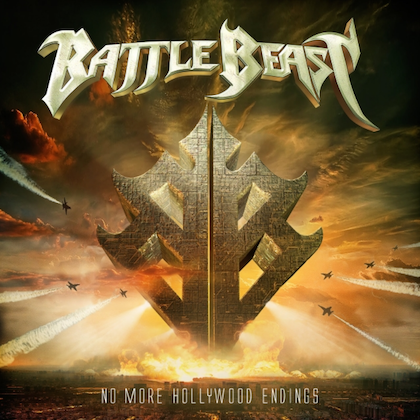 The band is nominated alongside AUGUST BURNS RED, GHOST, LAMB OF GOD and SLIPKNOT in the category. The band will find out if they won on February 15, the date of the 58th annual Grammy Awards. SEVENDUST is comprised of vocalist Lajon Witherspoon, the dual-guitar attack of John Connolly and Clint Lowery, and the driving rhythm section of Vince Hornsby on bass and Morgan Rose on drums.